So, is this your first Scintillation? Perhaps that’s the same flaw that continues to work against VALL, or perhaps the history of the labor movement in the United States receives such scant attention in the modern classroom–crammed as it is into the rush from the Civil War to World War 1–that it has lost some resonance for today’s reader. Certainly the “Scowrers” don’t seem to have much connection to any lodge or union we’re familiar with. And so we read a little faster, hoping to run into some more Moriarty. Pinkerton’s Great Detective can change that. I first encountered Beau Riffenburgh’s biography of Detective James McParland last year, while working on a larger project. I knew, of course, that “The Scowrers” section of VALL was based upon an actual Pinkerton’s undercover mission, and I hoped that the book would essentially point out who was who, and what was what, so I could pound out the requisite paragraphs and move on. I was looking for easy answers. What I got was a new appreciation for both The Valley of Fear and a nuanced look at the beginnings of the modern labor movement and late 19th-century class conflict, as seen through the eyes of a complicated man. Born in Ireland around 1845 (he was baptized on April 6 of that year), McParlan (the “d” would be added later) came from a family of relatively prosperous tenant farmers. After working in English chemical factories through his late teens and early twenties, he emigrated to the United States in June, 1867. 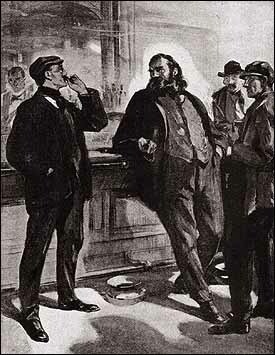 He lived in New York, then Chicago, working a succession of jobs, including grocery deliveryman, clerk, logger (in Michigan), teamster, and even (briefly) as a detective for Beaubien & Co. After a stint as an officer for the Chicago PD, he left policing for a more lucrative career in liquor sales, both as a distributor and saloon owner–until the Great Chicago Fire destroyed his store and sent him into bankruptcy. Desperate for work, he joined another detective agency–Pinkerton’s. Alan Pinkerton’s eponymous agency had distinguished itself during the Civil War, but mounting business debts, the Chicago Fire, and the Panic of 1873 had driven it to the precipice of financial ruin. In his frantic search for well-paying clients, Pinkerton suggested that his close friend and New York manager, George Bangs, offer the agency’s services to Franklin Gowen, head of the rapidly expanding Philadelphia and Reading Railroad. 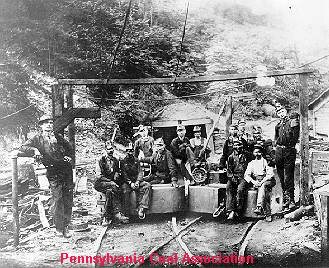 The timing, Riffenburgh points out, was propitious for both parties: Pinkerton needed the money, while Gowen needed a tool with which to break the miners’ unions of Pennsylvania’s Schuykill County. Through several years’ skillful maneuvering, Gowen had managed to gain control of the region’s coal supply and transport, and to effectively destroy the Workingman’s Benevolent Association. 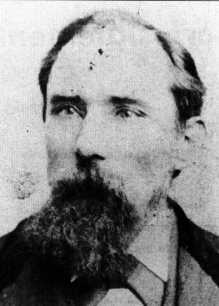 The latter had proven a serious miscalculation: Although Gowen seems not to have realized it, the WBA–an early miners’ union led by Irish-born John Siney–had actually served as peacekeeper in often volatile communities. Without it, some disgruntled workers turned to more lethal means of getting their point across, exchanging collective bargaining and strike for vandalism, assault, and murder. …of all the men that deserve punishment this man McParlan deserves twice what anybody charged with crime in this country deserves; if it is true that anybody deserves hanging, this man McParlan ought to be hanged twice, because, if there is an author to this mischief and this deviltry anywhere, McParlan is the man. –John W. Ryon, Attorney for John “Blackjack” Kehoe and eight other defendants, 1876. His [McParland’s] entire career was based upon tactics so questionable that he can no longer be dismissed with merely a prayer of thanks for ridding the country of a gang of cutthroats. Just how “rude” these men were is the question, and it may be one of the reasons why VALL often goes underappreciated today. For James McParlan, the Pinkertons, their clients, and a good portion of the United States populace at the time, the Molly Maguires were nothing more than “a band of roughs joined together for the purpose of instituting revenge against any one of whom they may take a dislike.”† As time wore on and labor unions made progress, however, interpretations of groups like the Mollies began to change. By the 1930s, historian J. Walter Coleman portrayed them as “a type of secret labor union, representing a natural response to the exploitation of miners, but differing in ideology, strategy, and ethnic affiliation” from the WBA.† In the most recent academic study of the group, Making Sense of the Molly Maguires, Kevin Kenney concludes that, rather than considering them a proto-union, it’s more plausible to see the Mollies’ violent behavior as a an example of “a particular Irish tradition of retributive justice,” directed at individuals “in a sporadic battle to defend a specific vision of what was fair and just in social relations.”†† Many today believe that the Mollies who would ultimately be executed as a result of McParlan’s investigation were martyrs who may have been, at best, unfairly tried and at worst, innocent. 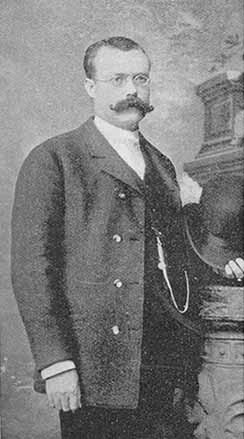 John “Black Jack” Kehoe, was hanged for murder as a Molly Maguire. He was pardoned posthumously in 1979. …despite the underlying implication, the Molly Maguires were not more worthy of compassion and pity than the men who were killed in cold blood because of agreements between body masters. Those instigating and carrying out the murders and other outrages were not heroes–that role could more safely be ascribed to Siney and those who stood with him in the WBA, working for the betterment of the miners via a peaceful solution. The author also argues that McParlan was not guilty of many of the sins now attributed to him, namely, those of being an agent provocateur, lying on the stand, and not warning murder victims that they were in danger. 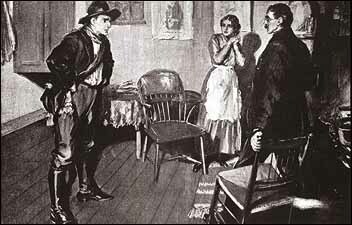 Although he acknowledges that the detective was perhaps a little too good at getting confessions from his “colleagues,” and that, in one case, McParlan claimed not to know the name of a target when he demonstrably did, Riffenburgh concludes that the Pinkerton agent was simply unable to get away in time to warn one victim, did not inspire crimes, and was justified in not endangering his own life by blowing his cover to stop all of those crimes of which he had prior knowledge. 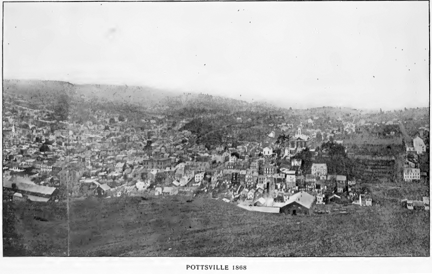 Pottsville, PA, circa 1868. One has to imagine that McParlan was glad to put the whole Schuylkill Valley behind him. Is there any worse trade than the one that man [McParland] follows? Can you imagine a man being a detective until every other means of livelihood is exhausted? Watching and snaring his fellow men. Is there any other calling in life can sink to that? But yet we have been told it is an honorable profession. Well, that depends on how you look at it…. It is honorable compared with some things the State has done in this case. But it is not honorable in any old-fashioned sense of that word. McParland told the jury that this confession was given freely, voluntarily. Did he lie? Is he a liar?…[C]an you believe a detective at all? What is he? A detective is not a liar, he is a living lie. His whole profession is that, openly and notoriously. 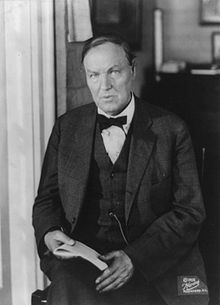 –Clarence Darrow, Adams trial closing argument, quoted in Riffenburgh, p.315. McParland won his battle against the Mollies. 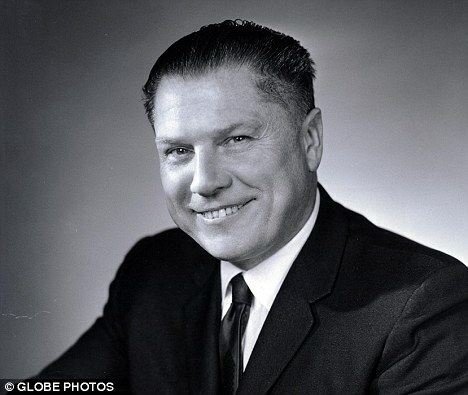 Although Harry Orchard spent the rest of his life in prison, the detective lost his battle against Big Labor, just as he would gradually lose the battle against diabetes and old age. Still, he was a Pinkerton to the end, keeping an office for which he was paid, but could no longer truly fill. Our Sherlockian bookshelves are often filled with pastiches and reference books written for us, by us. But sometimes it’s nice to branch out. Pinkerton’s Great Detective is an entertainingly written, expertly researched study which illuminates the dark Vermissa Valley, bringing the Scowrers out of the shadows. Pinkerton’s Great Detective is available in hardcover, paperback, and ebook formats. Normally, I don’t recommend any particular edition; however, the traditional book form doesn’t contain the extensive notes and appendices–those are located online at http://www.susannagregory.com/beauriffenburgh/pinkertons-great-detective/. The Kindle format contains all of the back matter as well as the text. Star Rating: 5–This is a wonderful book which gets it right. **VALL is where we learn that Moriarty owned a painting by Grueze, had a brother who is a station master in the West Country, and authored The Dynamics of an Asteroid. It is also where we get the clearest picture of him as a consulting criminal. In my defense, I remembered the information, but just assumed that I had picked it up in FINA. ***For the interested, the results were: STUD (11), SIGN (15), HOUN (24), and VALL (3). My personal favorite is STUD. ‡Readers will no doubt remember that Conan Doyle did not except Russia, either: “The Adventure of the Golden Pince Nez” involves a pair of Russian nihilists. Personally I actually prefer The Valley of Fear to A Study in Scarlett myself although not as much as The Sign of Four or The Hound of the Baskervilles mainly because I love the way Moriarty is depicted as a hidden menace off screen and it highlights his ruthlessness and how he throughly beats Holmes in what would have to be his greatest failure of a case and even rubs his nose in it with his “Dear me Mr Holmes, Dear me.” note and the American depiction of Birdy Edwards and the Scowrers is something I’ll take over the American depiction of Jefferson Hope and the Mormons in general in ASIS every time. Anyways TVOF isn’t my favorite of the four full length novels (that would be THOTB) but I still enjoy it myself.